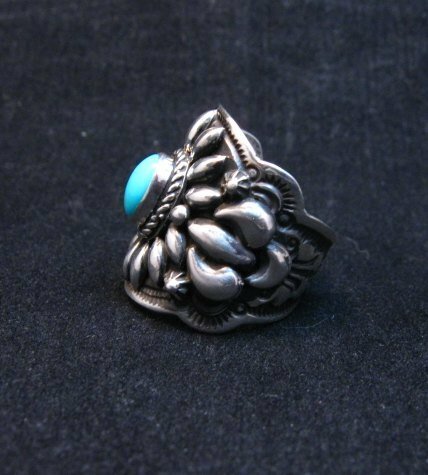 This heavy Native American repousse/stamped Sterling silver ring was hand made by Navajo artist Darryl Becenti. 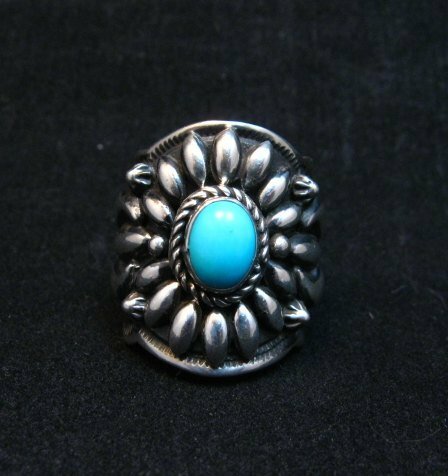 The ring is set with an oval Sleeping Beauty turquoise stone. 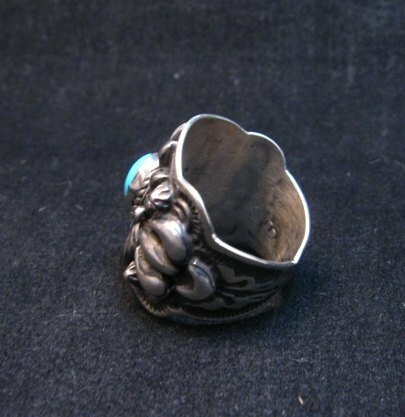 Then the ring is completely covered with deep stamp work and applied fancy repousse and silver bead work. Scalloped edges. 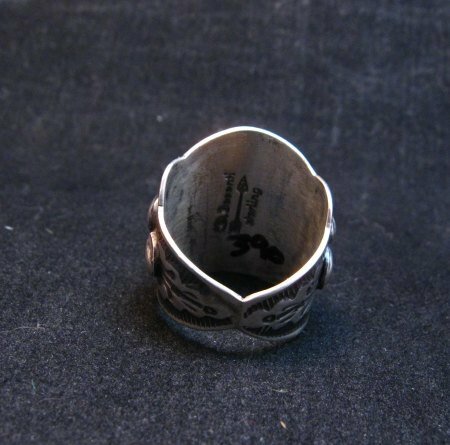 The ring measures a bit over 1-inch wide at the front and narrows to 1/8-inch wide at the back. 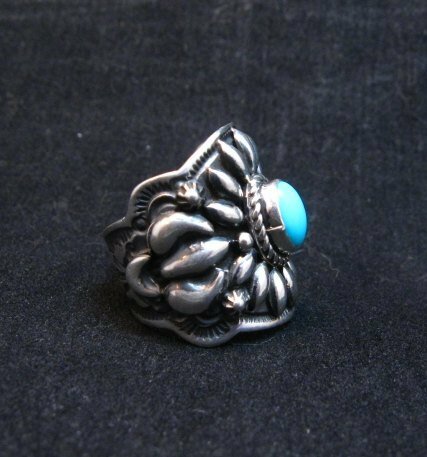 The ring weighs 12.7 grams and is a very comfortable ring to wear. 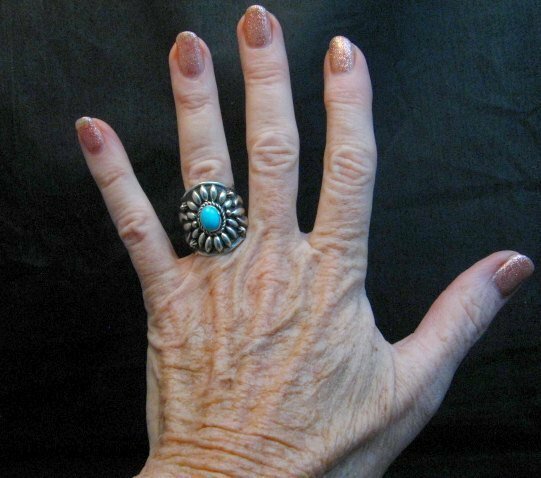 Because of the wide band, the ring stays put on your finger (no twisting or turning). Size 8.